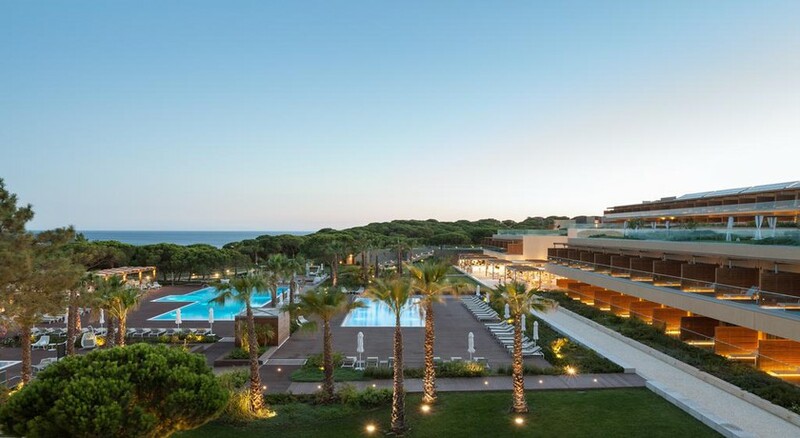 Boasting a marvellous location overlooking the Falésia beach backed by pine forests in Albufeira, Epic Sana Algarve Hotel offers the perfect blend of luxurious accommodation and top-notch hospitality. The ideal location of the hotel makes it the perfect base to explore Algarve. While the beach is right in front of the hotel, cities of Albufeira and Vilamoura are just a 15-minute drive from the property. 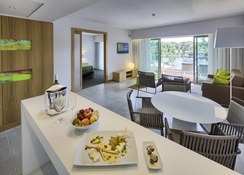 The elegant rooms, suites and apartments feature contemporary design and a broad range of amenities, but luxury and relaxation at Epic Sana Algarve continue outside the rooms as well. With five outdoor swimming pools including two for children, an indoor pool, a world-class spa and fitness centre, kids’ club, sports complex, five restaurants and bars, the hotel ensures that your stay is as comfortable as possible. Golf lovers too will be delighted here, as the hotel is just 5 minutes’ away from Pine Cliffs Golf Course. The hotel has direct access to the golden sandy Falésia beach, the only European Union awarded Golden Flag beach in the Algarve. The cities of Albufeira and Vilamoura are close to the hotel, just 10-15 minutes’ away. Faro International Airport is at a distance of around 33 km, about a 30 minutes’ drive from the hotel. 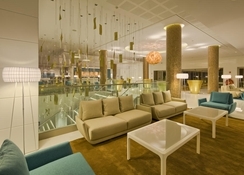 Epic Sana Algarve Hotel offers a total of 162 Rooms, 24 Garden Suites and 43 Resort Suites. All accommodation types feature contemporary decor, first-rate facilities and world-class technology. The spacious rooms and suites afford mesmerising views of the Atlantic Sea, swimming pools or landscaped gardens, depending on their location. Amenities include a dizzying variety, such as king-size or twin beds, private balcony or terrace, en-suite bathroom with shower and bathtub, LED TV with digital channels, integrated sound system, direct dial telephone and voice mail, coffee machine, minibar, air conditioning, safe and free Wi-Fi. 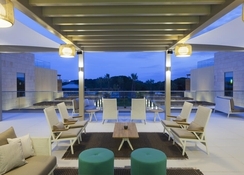 The hotel also houses one-bedroom apartments that include a bedroom, private bathroom, living room, fully equipped kitchenette, social bathroom and balcony or terrace. With a choice of three restaurants, two bars and snack bars next to the swimming pools, the hotel is a delight for gastronomes. The Al Quimia serves Mediterranean gourmet cuisine, where creative dishes are prepared seasonally by Chef Luís Mourão, to be complemented with top-notch Portuguese wines. 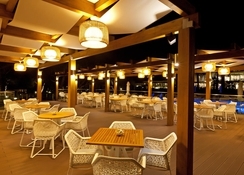 The main meals of the day are dished up at Abyad that offers a delightful breakfast buffet. All the buffet meals here have vegan and vegetarian options too. If you want to enjoy lunch by the pool while admiring the sea, Open Deck is the perfect place to savour Algarve’s traditional delicacies prepared using fresh fish and seafood. 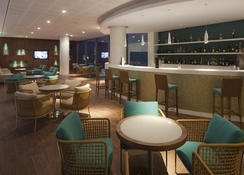 Drinking options at the hotel include the family-friendly Lima Bar, trendy Bluum Bar that uses molecular gastronomy and scientific equipment to prepare inventive cocktails, and the unpretentious Epic Bar that serves tea, cocktails, snacks and fruit juices. Water lovers are in for a treat at Epic Sana Algarve Hotel, as the property features 3 outdoor swimming pools for adults, 2 outdoor swimming pools for children and 1 indoor heated swimming pool. The on-site sports complex can be converted into tennis court, volleyball court, basketball court or futsal pitch. There are also a number of golf courses nearby, such as Pine Cliffs and golf courses at Vilamoura. Guests can enjoy green fees in golf courses close to the hotel. The hotel’s guests also have a private access to the Falésia beach, through a wooden bridge, over the pine forest and the cliff. Bubbles, the baby club, has a playroom for babies and a main room for children and pre-teens. Kids between 4 and 12 years can take part in fun games and activities at the Little Stars Kid's Club, while their parents can visit the Sayanna Wellness – the hotel’s spa and wellness centre – that offers a number of treatments, massage, Vichy shower, sauna, Turkish bath and an indoor heated swimming pool. 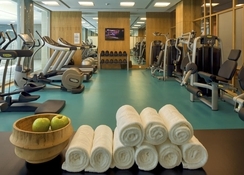 There’s also a fitness centre with state-of-the-art training equipment.